Licensed & Fully Insured | Cummings Moving Co. When someone hires an unlicensed/uninsured mover in San Francisco, they risk major personal exposure. We hear from many folks who have gone this route in the past and find that it only takes ONE time to learn the hard way – lawsuits (frivolous and otherwise) filed on behalf of injured workers and little to no recourse for damage, loss or theft. 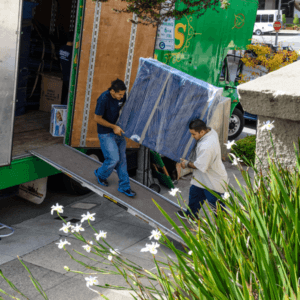 Typically unlicensed movers hire only day laborers; sometimes right off the street, often inexperienced as professional movers and certainly not properly screened. These movers regularly lack appropriate moving equipment: furniture pads, furniture dollies, quality hand-trucks and straps inside the truck to secure belongings for transit. Here at Cummings Moving Company, our experienced moving crews are long-term employees. They are interviewed, vetted and hired by us on a probationary basis. If they make the grade, we enjoy a long term association with them. Some of our movers have been with us for 10 years. We provide ongoing training and have high expectations of ourselves as owners as well as our entire team. 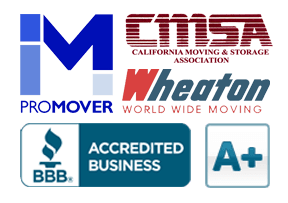 If you are looking for a mover in San Francisco we would love for you to choose Cummings Moving Company, however, if you opt to go elsewhere, please remember that it is ALWAYS best to work with a licensed and insured moving company. For a FREE Moving Quote… CLICK HERE! Or give us a call – we are happy to answer your questions!